I am not going to make the same mistake I did with Jessica Brockmole's previous book Letters from Skye. In that I waited a couple of years after it's release before I read it. I absolutely loved that book and was anxious to read this one. Though I must admit I went in a little cautious, only because my expectations were rather up there and I dreaded the thought of disappointment. Suffice to say I was not disappointed in the least. Again I was treated to an entertaining and educational story taking place around World War I. Beginning in 1911 the reader is introduced to 15 year old Clare Ross and the author was able to paint a picture of the life of this young girl before the war started, giving us the chance to get acquainted with her and her less than ideal situation. Alternating between Clare and Luc and spanning 8 years the effects this war had is clearly shown, not just with physical but emotional scars as well. What I loved here was the writing, again the author used letters to tell the story and again it worked perfectly. Getting into the minds of both Clare and Luc and feel their despair, struggles and hopes were vividly shown here. 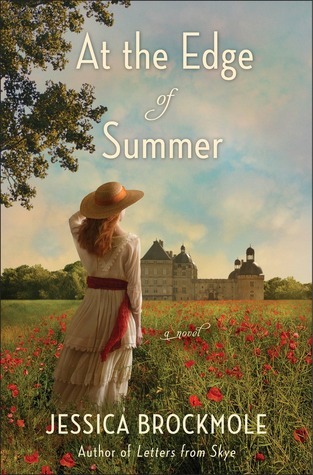 At the Edge of Summer is a book I highly recommend to fans of historical fiction, especially those taking place during WWI. Thank you to Ballantine Books (via netgalley) for a complimentary copy for review purposes.